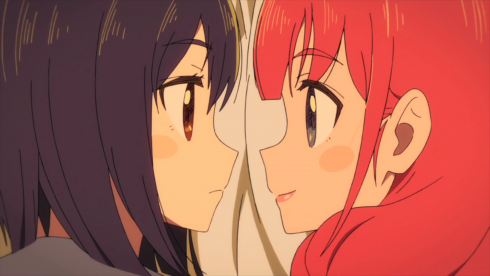 At its heart, though, Flip Flappers is still a character-focused story about adolescence, so while there’s a lot of high-level plot- and world-building this week (and some beautiful cinematography to go with it), the central story still belongs to Cocona and Papika, so that’s what I’m going to focus on. 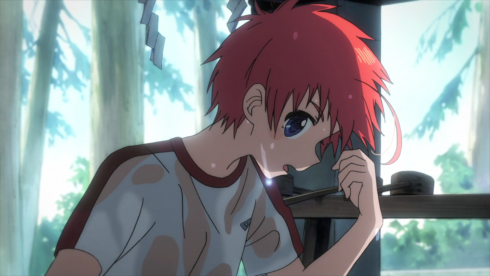 Last week Cocona entered (and altered) Iroha’s memories in an attempt to understand and help her friend, but this week she learns the hard truth that even the most well-meaning actions can have unintended, negative consequences. 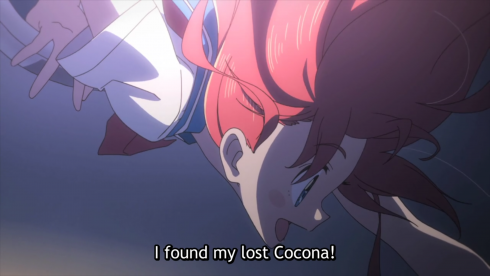 As Dr. Salt says, “There’s no such thing as a frictionless utopia.” Frightened by what she’s done to Iroha and mistrustful of Flip Flap (who themselves don’t fully understand Pure Illusion), Cocona refuses to help anymore. The girls are already in the Thomasson at that point, though, so she and Papika are whisked away to Pure Illusion anyway. Reflecting Cocona’s fear of unintentionally changing others, it’s a world empty of all people except Papika–and even then it’s not that simple. 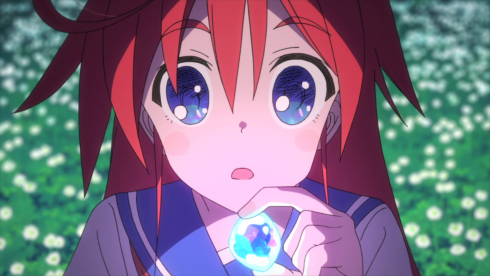 As the title suggests, Papika gets broken down into components this week, pieces of her personality filtered through the lens of common fictional archetypes: The little sister, the schoolyard scamp, the rule-breaking punk, the spooky girl, the pretty boy, and so on. There are a couple ways to read this. The first is that Papika herself really is off somewhere else, searching for Cocona, and these Papieces (sorry) are being created by Cocona. She’s uncertain about everything in her life right now, including her relationship with Papika, and these varying archetypes are a way for her to break that relationship down into easier-to-understand chunks and try to find the one that fits. Is Papika her little sister? Her best friend? A creeper? A troublemaker? A lover? All relationships are complicated, but trying to sort out feelings of friendship from feelings of romance only complicates things further, especially if you’re a teenager experiencing sexual desire for the first time, and especially if those feelings don’t align with cultural, heteronormative expectations. 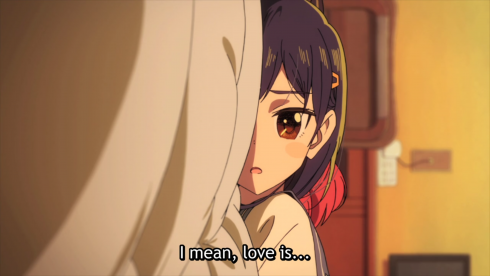 Cocona doesn’t know how to describe her “love (suki)” for Papika, something Hotel Papika points out when Cocona asks her if she means “friendship love” and Papika wonders why she would even ask that question. If she’s not sure, then might it be something else? 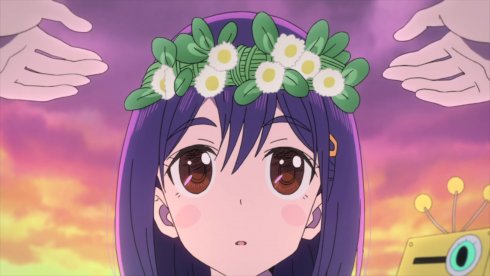 That Cocona frequently sees Papika as a boy further highlights her confusion, suggesting that the only way she can make sense of her feelings is to map them onto the gender society expects her to be attracted to. 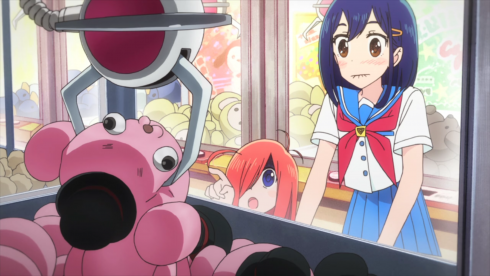 Tying into this idea of what kind of love Cocona’s “supposed to” feel, each Papiece has one major trait in common: They all encourage transgressions and broken rules. Bathing together, cutting class, snooping into Dr. Salt’s desk, living the punk life, destroying sand castles because it “feels good,” wearing lingerie and cuddling in bed–each Papika offers to do something with Cocona that Cocona “shouldn’t” do, and she jumps right into it. 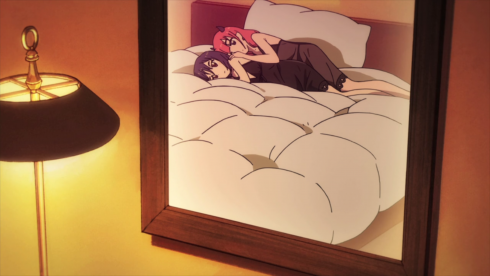 Which speaks to Cocona’s own repressed urges, but also to the fact that she’s so easily led around by someone else. 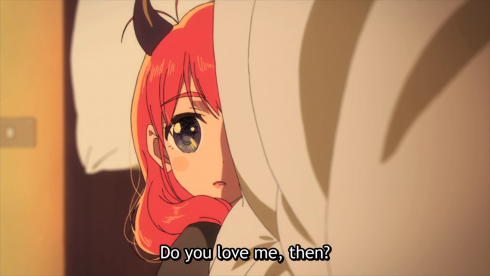 As important as it is for Cocona to be honest with herself, she needs to be able to say “no” sometimes, too. Fortunately, she does refuse the final, greatest temptation of this world, which is to burrow into it forever and never come out. While Cocona admits she’s having fun here, living out each day with different facets of Papika, she acknowledges that (1) none of these are the “real” Papika, and (2) she has responsibilities in the mundane world that she needs to face. 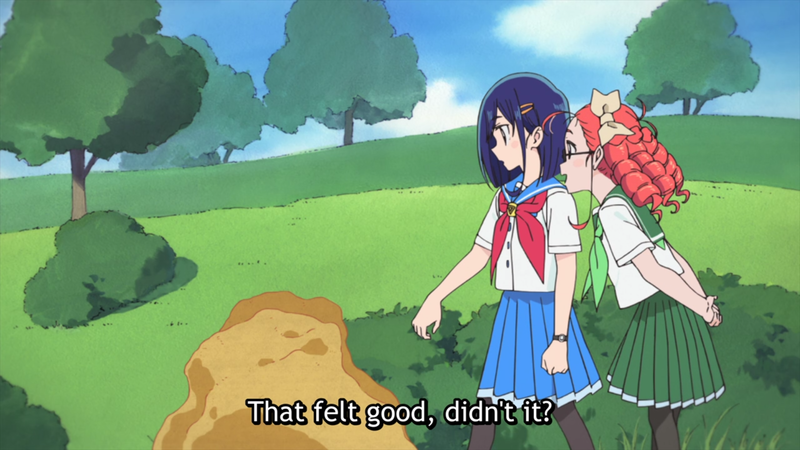 Cocona learned this week that her actions have consequences, which is a major step towards adulthood. The next step is being able to own up to those consequences and try to fix any mistakes. 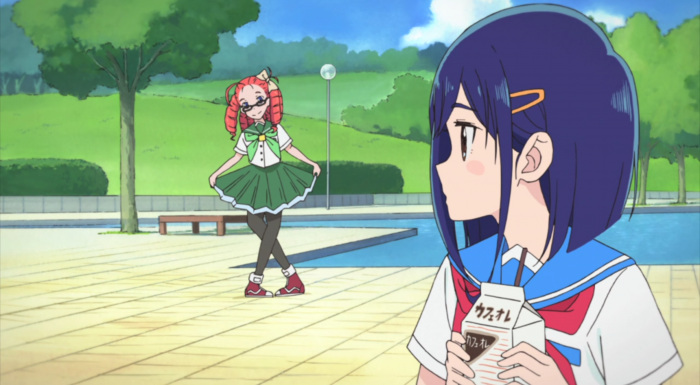 Cocona doesn’t find a true, final answer this week to any of her questions but, as with her adventures in Yuri Hell a couple weeks ago, she continues to consider unhealthy answers and (thankfully) reject them. Just like how Cocona couldn’t remain in the chaste halls of Yuri school forever, she also can’t break Papika down into over-simplified, archetypal pieces or run away from the real world. A healthy relationship means accepting the other as a complete, complicated person, and moving forward from there. Cocona has work to do, but she’s on the right path. There’s also a second way to read this Pure Illusion adventure, which is that this is as much Papika’s story as it is Cocona’s. While Papika’s more considerate to Cocona’s needs than she was before, she’s still an “act first, think later,” type, so she struggles to understand why Cocona’s so hesitant to return to Pure Illusion. 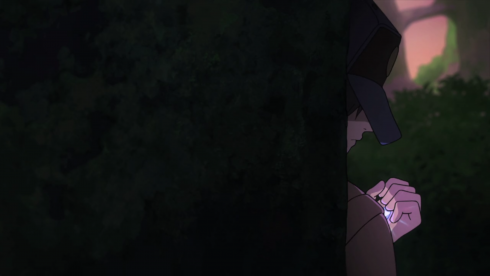 “We’ll just avoid the hole.” “I’ll catch you.” “The fragment will probably grant wishes and help Iroha.” It seems simple to her, but it isn’t to Cocona. Papika knows her partner is hurting but can’t figure out how to make her happy again. This is weighing on Papika as they enter Pure Illusion, and so she unconsciously helps create a world she thinks will make Cocona happy. If Cocona’s afraid of her actions negatively affecting others, then the world won’t have anyone else in it. Papika will find the version–or versions–of herself that Cocona likes best and be that for her. She will become whatever Cocona needs. 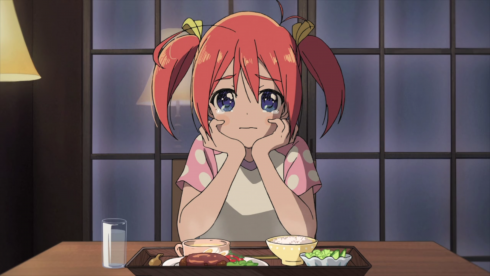 Both the first and final Papieces ask Cocona “Am I not good enough?” which reads not like Cocona projecting those thoughts onto Papika but like Papika herself crying out in frustration, wanting to make things right and not knowing how. Taken from this angle, Papika’s disappearance suggests she’s trying to give her friend some space, or perhaps that she’s as frustrated with Cocona as Cocona is with Papika (“how boring”/”you jerk!”). 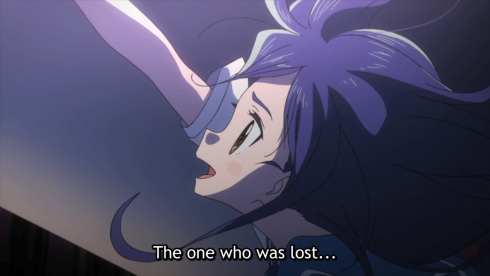 This helps explain why Cocona can’t find Papika right away, as she may not want to be found. Papika only appears again when the hole opens up because, whatever their differences and misunderstandings, Papika loves Cocona. 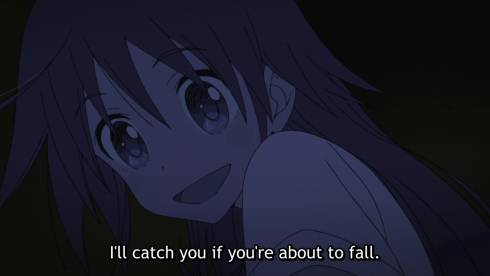 Just as she promised, she won’t let her fall. Somewhat paradoxically, I don’t think these two readings are an either/or situation. As Hidaka tells us, Pure Illusion is “a perception based on subject interrelationship: an idea world,” which suggests that each organism that enters it (including green rabbits) impacts its form and function. So Cocona and Papika can struggle with individual concerns and confusions simultaneously. The Papieces can be Cocona figuring out her feelings for Papika and Papika trying to help Cocona. Which girl was lost? Both. And neither. It all depends on which perspective we choose to consider. 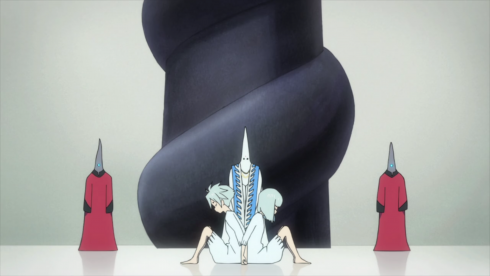 By episode’s end, the girls have patched up their relationship again and have traveled to another realm. Cocona has accepted the responsibilities that come with traveling through Pure Illusion, and Papika has resolved to do what she can, as herself, to help. 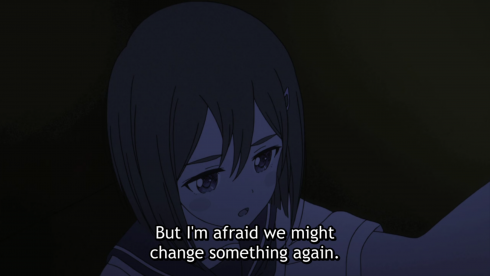 There are still a lot of cracks here, particularly surrounding Cocona’s skepticism of Flip Flap and her ongoing struggle to fully understand her feelings for Papika. Nothing has been fully resolved. But small steps have been taken even so, both in terms of individual growth and the development of a supportive, healthy relationship. Not too bad a place to be, all things considered. 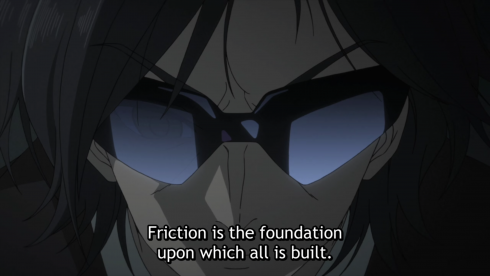 Hidaka and Dr. Salt provide us with our first proper theory about Pure Illusion’s nature, describing it as an adjacent dimension with a form that changes depending on the thoughts/ideas/perceptions of the organisms who enter it. So, yeah, as suspected it’s basically an umwelt, a subjective “self-world” that’s as emotional as it is physical. And that “adjacency” is starting to look like a Venn Diagram, with the “deeper level” of the black holes connecting the two realms. Asclepius is about as into sharing information as Dr. Salt is. They’re keeping Yayaka in the dark about a lot of things, but while she’s none too pleased with it, her role in the organization is apparently quite tenuous. She has to obey or there “won’t be a place for her” within it. I smell a rebellion coming, maybe from both sides. Yayaka’s boss refers to the “amorphous children.” He’s probably talking about the twins, which may suggest they’re made of amorphous. Curiouser and curiouser. The fragments awakened a memory(?) of Papika and a man (the same one hiding from them in their current world) calling out to “Mimi,” a woman who looks a whole lot like Papika and is carrying a dark-haired child. 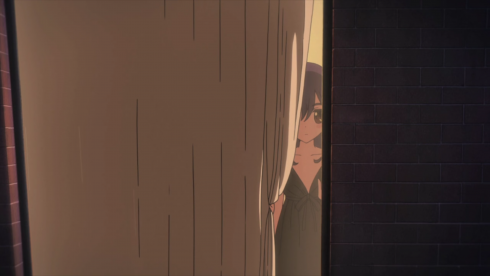 Pure Speculation here, but what if the child is Cocona? Could Mimi and the man be her long-lost parents? And if so, then why does Papika look the same age in this flashback as she does now? With a world like Pure Illusion in the mix, the possibilities are literally endless.